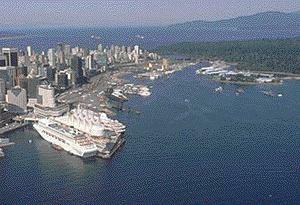 Both residents and visitors agree that Vancouver is one of the most beautiful cities in the world. Over 200 years ago Captain George Vancouver arrived at the site of this city, lending his name to a place that has grown into a major Pacific Rim city with an international profile and diverse cultural heritage. Here, Chinatown boasts Dr Sun Yat-Sen Classical Chinese Garden, the only Classical Chinese garden outside of China. The story of the Chinese community is an important one in Vancouver's history. BC's native communities are best documented here at the University of British Columbia. An authentic long house is featured at the Museum of Anthropology. Highway 1 (The Transcanada Highway) connects the city to the Fraser Valley. The Sea to Sky Highway links the city to Whistler Resort and the Cariboo Chilcotin Coast. Vancouver's port facilities are on the shores of Burrard Inlet. It is bounded on the east by Burnaby and is connected to North Vancouver by Lions Gate Bridge in Stanley Park. The city is connected by BC Ferries with Vancouver Island.